How much does it really cost to get a motorbike licence? 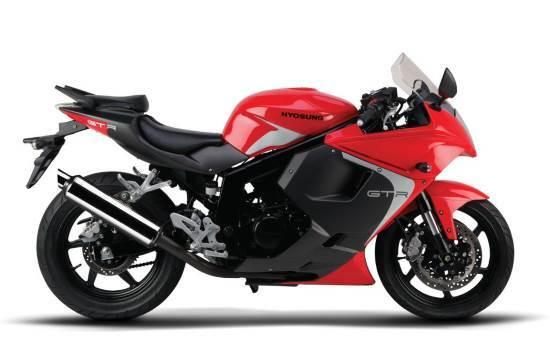 Home › Advice › How much does it really cost to get a motorbike licence? Riding a motorbike is cheaper than driving a car, but it still costs money to go through the licencing process and to get lessons from an instructor. This article outlines the costs. 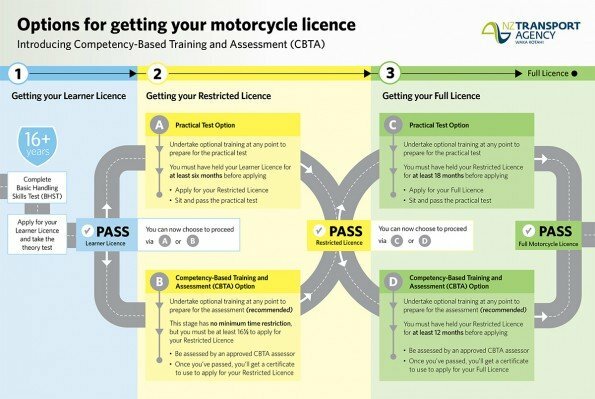 Getting your licence is a three-step process, but there’s an alternative option (CBTA) which reduces the amount of time you need to spend before you can get your full licence. Before you can apply for your learner licence, and therefore ride, you will need to complete your basic handling skills test (BHST). You need to be 16 years old or older to do this. This test ensures you know the basic operation of your motorbike and can ride it. You will take it on a LAMS-approved motorbike that will look nothing like the mean, sleek beast pictured above. But, you’re on your way to being able to ride one of them. Many instructors will offer a basic handling skills course and test which takes between 2-3 hours and usually costs between $160-300 depending on how much tuition is offered in the course, what your previous skill levels are, whether you need a motorbike to be provided and where they are located. In the BHST course you will learn about motorcycles and their controls, starting/stopping the engine, how to park your motorbike safely, smooth throttle control, how to ride in a straight line and around curves, how to use your gears and clutch properly, and how to check your blind spots. This video explains the BHST. Licence costs are compulsory. Regardless of what extra training you do, you cannot escape these fees. If you need to change or cancel your test you might be eligible for a full or partial refund depending on how long before your test you cancel, and whether the test slot gets rebooked. There’s a $16.40 administration fee payable. More information is here. After you have got your learner licence you have two options to get your restricted licence. The options are shown in the image below. Click on this image below to see it larger in a new window. The practical test options mean that you can take lessons with a qualified instructor during the course of 6 months, then apply for and sit your restricted licence practical test. One-on-one lessons are usually between $60-100 per hour, plus bike hire if you don’t have your own bike (usually around $20/hr). If you want to supply your own bike it must be LAMS-approved (read more here). Having a helmet with an intercom is advantageous. Lessons can also be taken in groups which will be cheaper. Many instructors run courses that cover a wide range of skills, and then you can go and practice them on your own on the road. Competency-Based Training and Assessment is a system where you can take lessons with a qualified instructor as per option A, but at any time (as long as you are aged at least 16 years and 6 months) you can be assessed by an approved CBTA assessor. When you have passed you will be given a certificate which you can use to apply for your restricted licence. CBTA courses are offered by many, but not all, instructors. Expect to pay between $140-200 for a learner-to-restricted CBTA. Check out the course guide here. Once you have your restricted licence you can choose either the practical test option or the CBTA route. You don’t need to have done CBTA for your restricted to be eligible to do it for your full licence. With the practical test option you can have one-on-one or group lessons as much as you like. After you have held your licence for at least 18 months then you can apply for a full licence and sit your practical test. With CBTA you can have further training and then be assessed by an approved CBTA assessor once you have held your restricted licence for at least 12 months. When you pass you will get a certificate which you can use to apply for your full licence. Expect to pay around $120-160 for a restricted-to-full CBTA. There are a large number of optional and very useful courses available run by various instructors, some of them funded by ACC. An example is the Ride Forever bronze ($20), silver ($50) and gold ($50) pathway consisting of three 8-hour training courses. They will teach you how to be a much safer rider. You can also do specific courses on urban riding, dirt road riding, riding with a pillion passenger and so on. Safety equipment hire: around $150/day for helmet, gloves, jacket and pants. If you already have some of these, it’ll be less expensive. And don’t forget to add in petrol that you will spend practicing. We haven’t included the actual costs of buying, maintaining and insuring your motorbike, or the cost of buying safety equipment (it’s highly recommended you use proper gloves, jacket, boots and pants, plus it’s essential (and the law) that you wear a helmet. Check out our helmet buying guide here.